But not that kind of mushroom party. 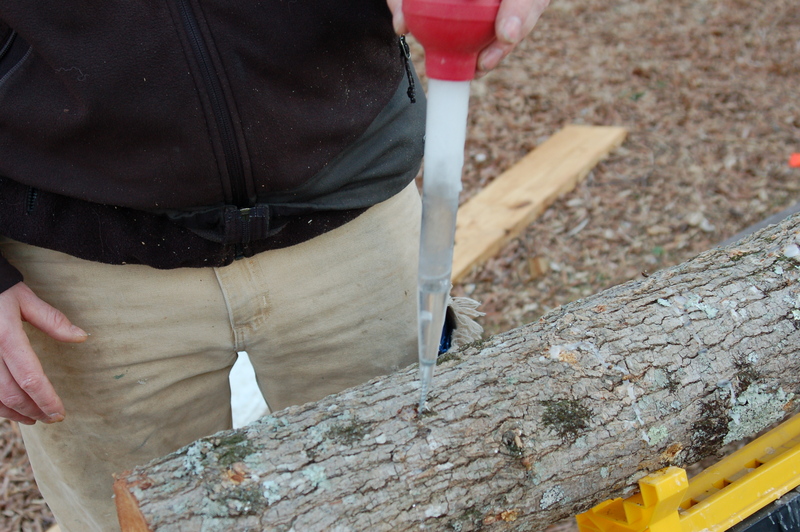 Yesterday Dan took down enough trees to have 100 logs, each about 3 ft long, to inoculate with mushroom plugs. 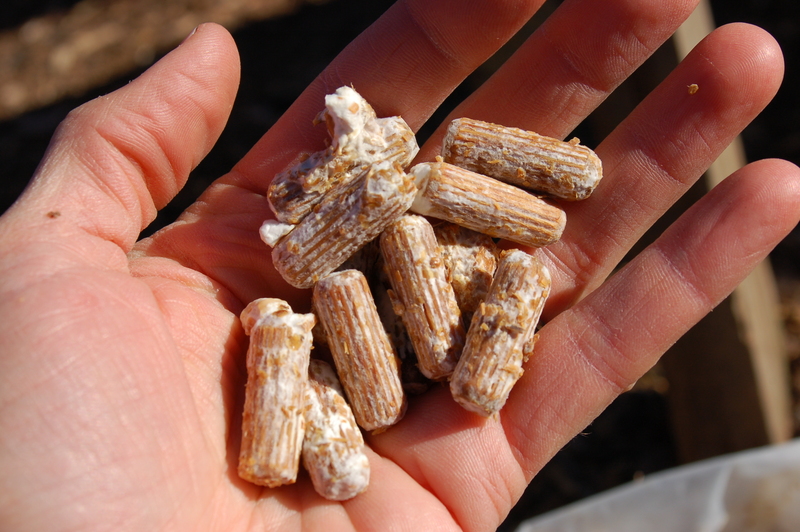 We purchase the plugs and by putting them into freshly-downed logs, the fungi that we want to grow has a head-start on naturally occurring fungi that will eventually start growing in and decomposing these logs. We purchased Shiitake and Oyster plugs. These are the plugs. They are simply little wooden dowel pieces that have themselves been inoculated with the desired shroom. 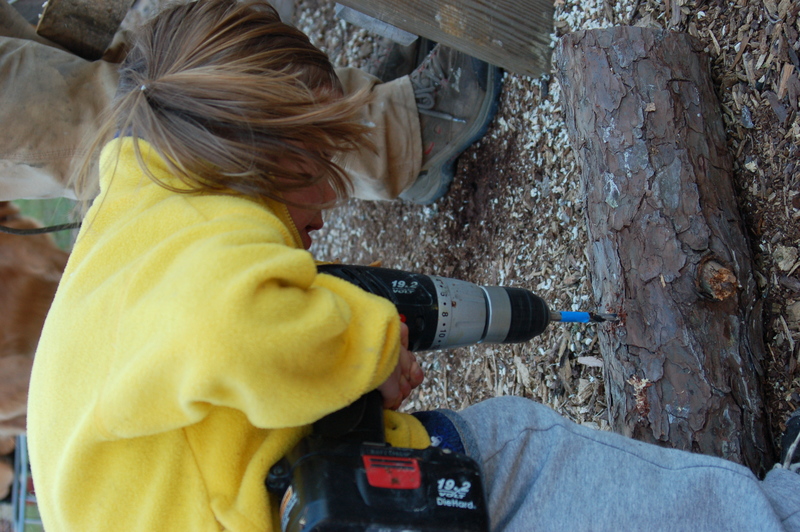 To get the plugs in the logs, a hole has to be drilled for each one. We ordered a special bit for a modest $12 that made this process incredibly easier than using a standard bit. The plug is then tapped in and sealed with wax (to help keep out other fungi while ours gets established). 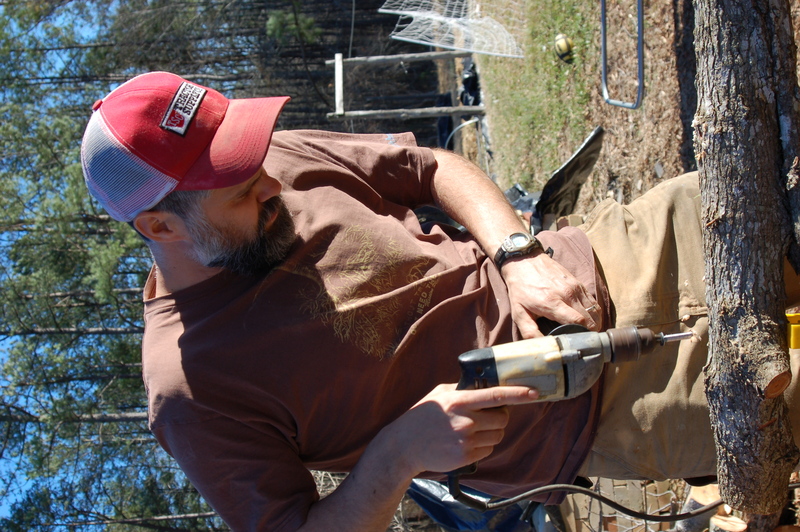 Some dear friends of ours were kind enough to join us for the weekend in order to help wrangle all these logs and shroom plugs. Eight hands made much faster work! To experiment with varieties, we ordered 3 different kinds of Shiitakes. 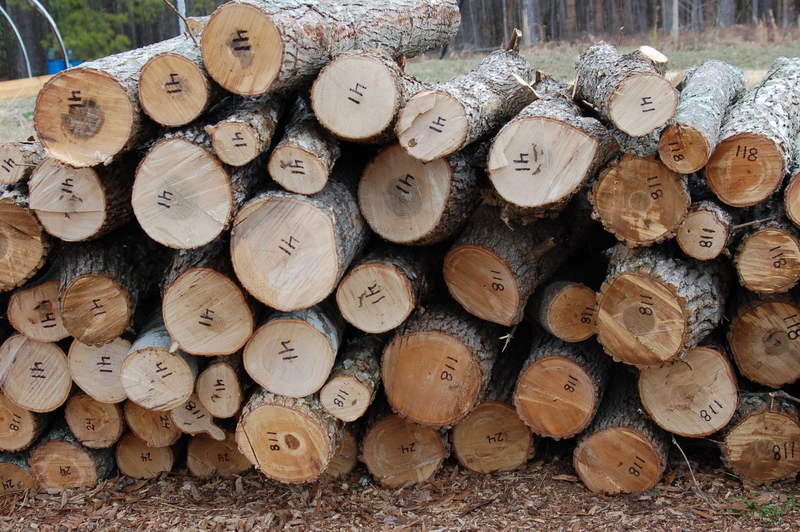 The numbers you see on the ends of the logs identify the particular strain so that we can know when we harvest which ones grew better here in our climate, which tastes better, etc. Mushrooms are like zucchini in that one day one will be too small to harvest, and then the next day it will be enormous. Luckily, when they are large they are thick and meaty like portabellas. Delicious! Oyster mushrooms will grow fast enough to be able to harvest some this summer. The first flush (as they are called) of shiitakes will be ready this fall. 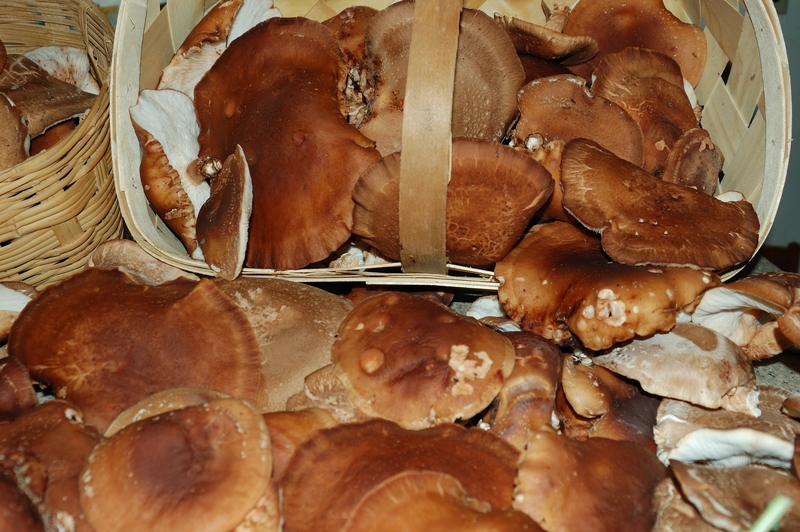 Some of our shiitake harvest last year is shown below. We’ll keep you posted about the progress this season as the months roll by.